Geoff represents Fortune 500 companies, local real estate developers, investment companies, and other businesses in all types of complex real estate and business transactions, including complicated acquisition, sale, and financing transactions involving office buildings, parking garages, commercial shopping centers, industrial properties, self-storage facilities, residential subdivisions, multifamily properties, and motels. He has also handled all types of financing transactions on behalf of borrowers, including CMBS loans, CTL loans, construction loans, seller financing transactions, and traditional commercial bank financing transactions. Geoff’s practice also includes rendering advice with respect to other real estate matters, such as title insurance and title issues; commercial leases; easement preparation; and preparation of declarations for residential subdivisions, including declarations for the first “SmartCode” based community in New Castle County. 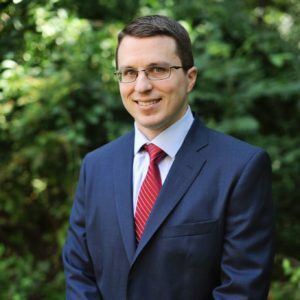 Prior to his legal career, Geoff was awarded an MBA and attained over 8 years of business experience working for various homebuilders, a real estate developer, and a large commercial construction and engineering company. His prior experience allows him to better understand the business issues facing his clients, including practical concerns in transactions involving construction. • Temple University Beasley School of Law, Law School, J.D.